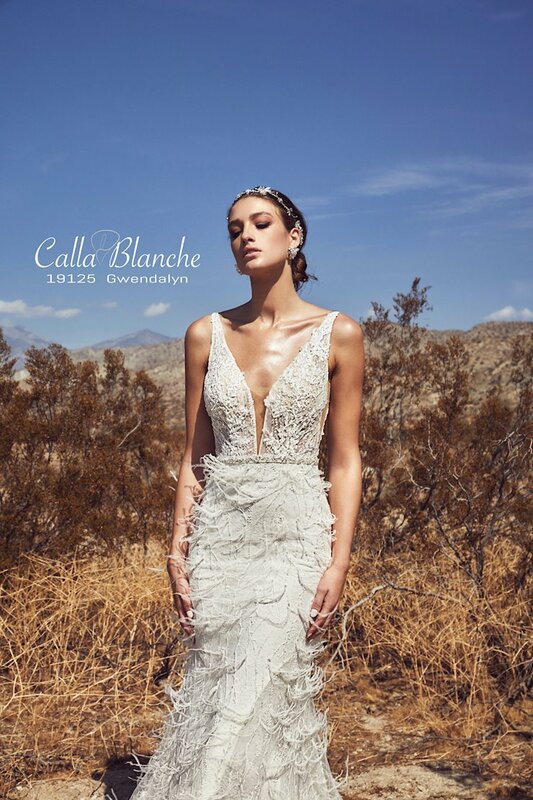 Calla Blanche specializes in designing classic timeless bridal gowns with a modern twist to create each one to be as unique and stunning as the bride wearing it. Get ready to take your guests' breath away when you walk down the aisle in a beautiful wedding gown constructed with only the finest fabrics and embellishments. Find Calla Blanche bridal gowns and more at Henri's. Henri's holds the highest account status with Calla Blanche Bridal and all Calla Blanche bridal gowns pictured are available to ordered for our brides to be. However due to the seasonality and delicate nature of Calla Blanche bridal gowns, not every gown pictured is available in-store. For the most up to date inventory, please contact one of our professional bridal stylists.